This guide walks through the different views and permissions that you can set for your employees when viewing their shifts. Employees can access their schedules in one of three ways, through the mobile app, the kiosk, and through their web browser. You may enable or restrict the amount of information an Employee access level user can see. 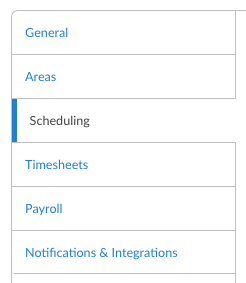 This option allows employees to navigate to the Schedule tab and see other employees who are scheduled on. First, head to the location you would like to edit, then click 'Edit Settings'. Then click the 'Scheduling' tab. Allow none. Completely block all visibility: Employees can only see their own published shifts. They cannot see the shifts of their co-workers.